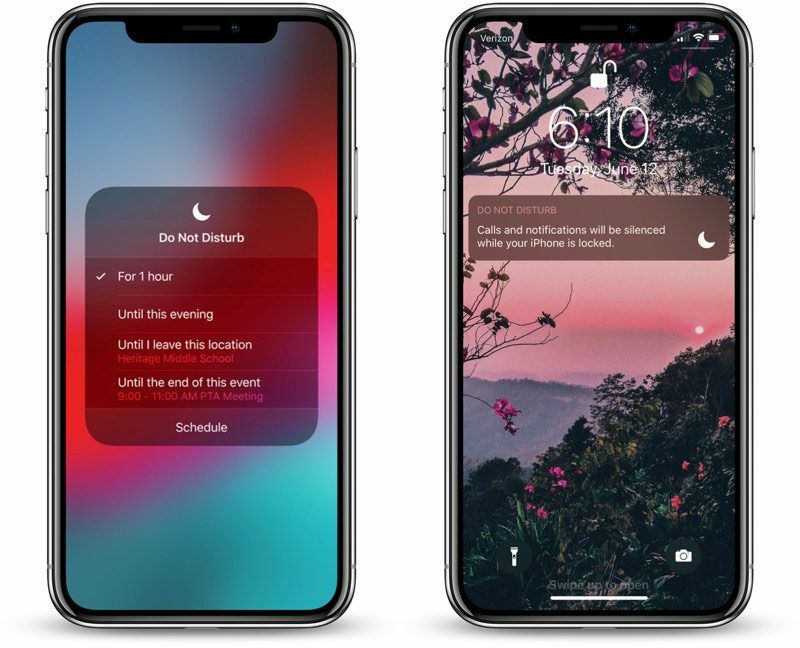 The iOS 12 update introduces a comprehensive set of built-in features designed to help you focus, limit distraction, monitor your iOS device usage, and get a better understanding on how you're using your time throughout the day. 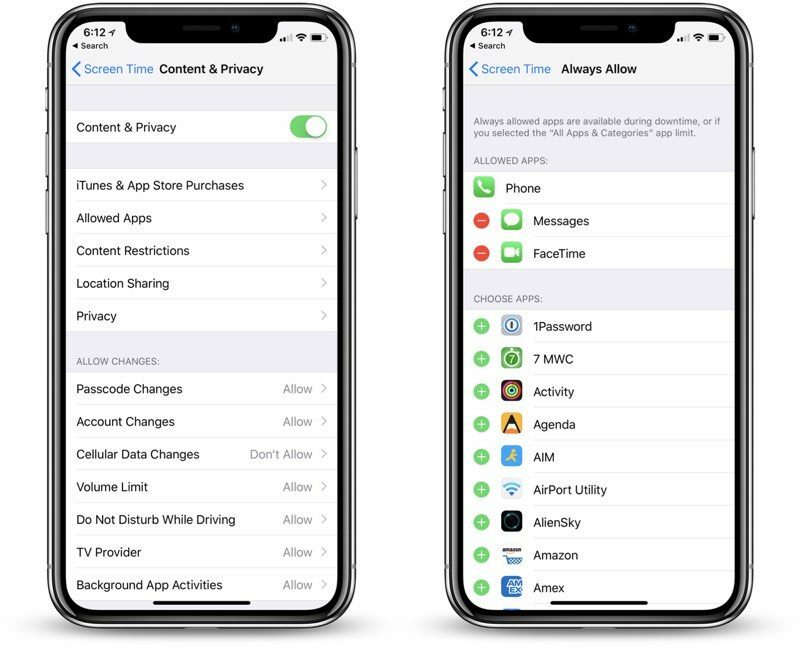 These new features are housed in the Screen Time section of the Settings app, which we decided to take a closer look at to give MacRumors readers eagerly awaiting the iOS 12 update an idea of what to expect from Apple's new monitoring features. 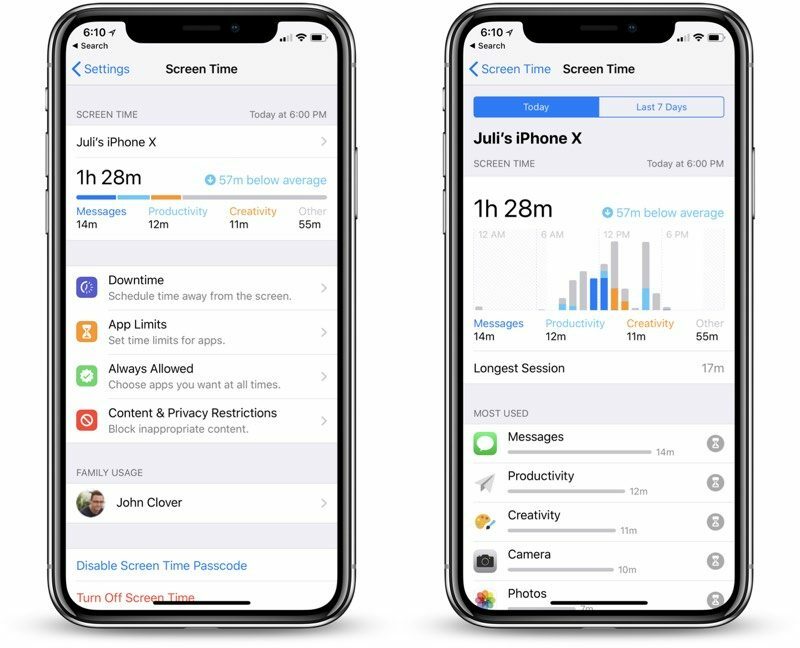 Apple designed Screen Time to be incredibly detailed, and it provides a surprising amount of information on how and when you're using your iPhones and iPads. With the main view, accessible in the Settings app, you can see just how much time you've spent on the iPhone each day. A bar at the top lets you know which apps you've been using, separated by category or specific app, and a small arrow lets you know whether your daily usage is higher or lower than normal. Tapping into more specific details, there's a full breakdown on every app that you've used in the last 24 hours or across the last 7 days. This breakdown shows each individual app and it displays the websites that you've been viewing. You won't see specific content that was browsed, but it will, for example, note that you spent five minutes viewing MacRumors.com. If you scroll down, you can see how many times you've picked up your phone per hour and how many total times you've picked up your phone during the day. There's also a measurement of how many notifications you've received and which apps are sending them most frequently. A report is available each week with a summary of your device usage across the last seven days, and you can also quickly get a glimpse of how you're using your device through a Screen Time widget in the Today Center. Apple makes no recommendations based on Screen Time information, with the company simply providing the data so you can decide for yourself if you're spending too much time on your devices and want to alter your usage habits. 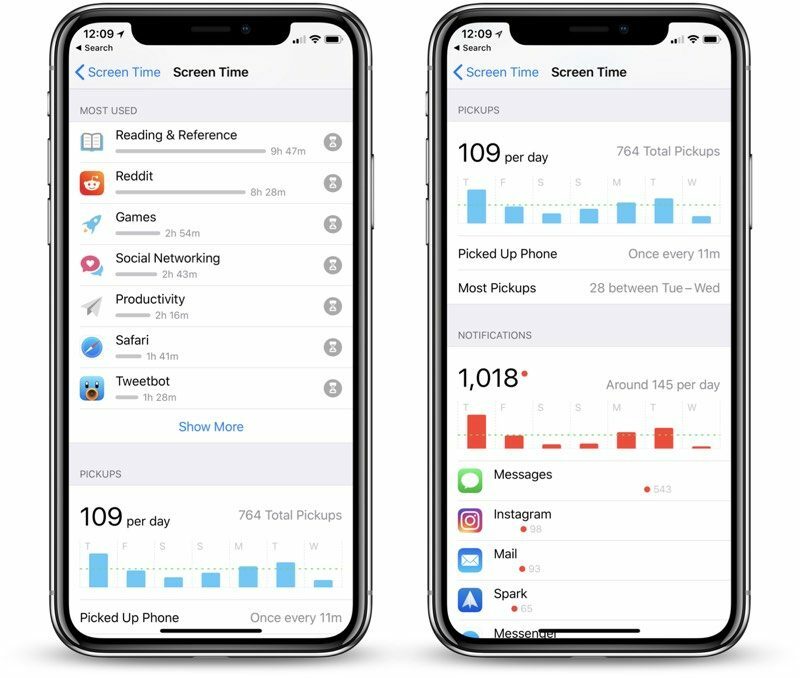 Screen Time collects data from every iOS device where you're logged into your Apple ID, but it does not include Mac data. Downtime similarly restricts access to content on the iPhone for when you'd like to be left alone to focus, while new notification control options and Do Not Disturb features also give you new ways to cut back. What do you think of Apple's new Screen Time features? 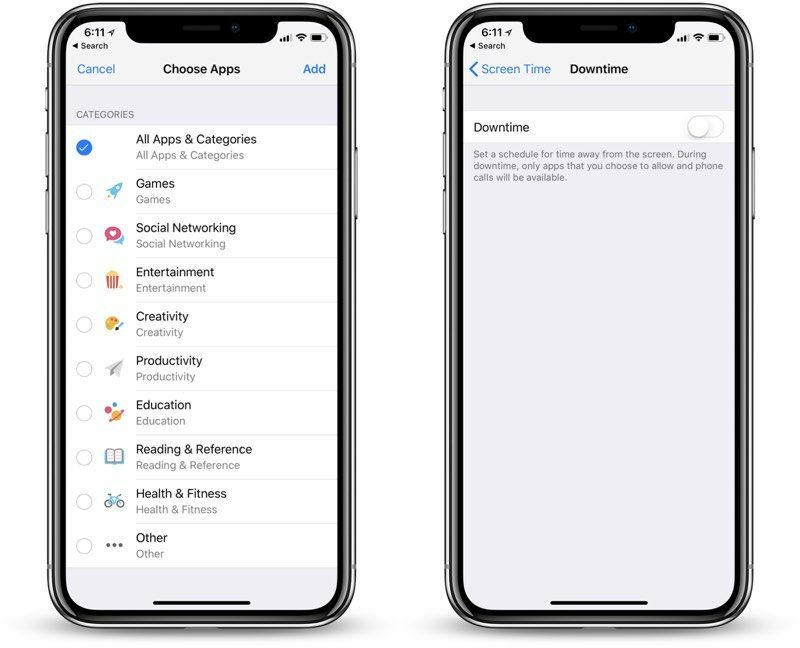 For more details on how Screen Time, notifications, Do Not Disturb, and Downtime, and App Limits work together to give you more control over your devices, make sure to check out our iOS 12 roundup. Hate to make assumptions, but I am going to assume those here denigrating the feature aren't parents of young kids. I for one am very happy to see this feature finally making an appearance! One kid is quite good at tracking time on the iPad and self-limiting, the other is utterly hopeless. Being able to set unlimited use for say FaceTime and Sonos app, lots for the Kindle app, and a little for other brainless drivel they want to use is golden. It will save me having to dish out blanket iPad bans and avoid the family drama the imposition of such bans brings. It is a shame that our society is evolving into one, where many cannot or will not take control of their own life and actions, and have to rely on a gadget to restrain them from themselves. I hope some people get use out of it. Meaningless to me. More useless garbage designed for morons. The time wasted on this should have been used for squashing bugs. Wait a sec, you're going to pickup the phone to see how much you are using it, okay got it! No, it will send you the information telepathically. Adults needing this, pure sadness. So do you think fitbits and apple watches are equally sad? I found the sleep-tracking and step-counting information I gleaned to be fascinating data. You're saying I should have been ashamed of that? Why? "Silly" comes to mind as a thought, except for maybe the kiddie controls. No one seems to be in control of their faculties. Where can I get this beautiful wallpaper ?